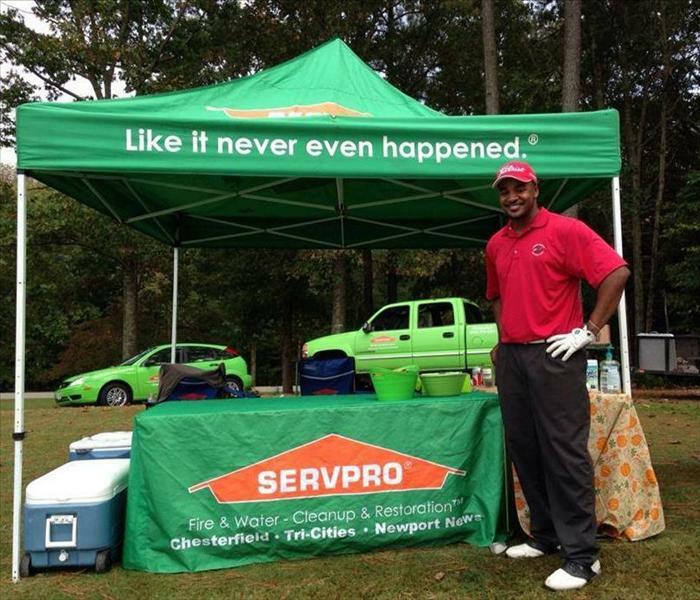 SERVPRO of Chesterfield and Tri-Cities Plus serving up hot dogs at the International Facility Management Association Golf Tournament. SERVPRO of Chesterfield and Tri-Cities Plus table set up at the CVAA trade show. Brian Randall, former Hokie, showing his support at the 5th Annual St. Jude Peninsula Golf Tournament! 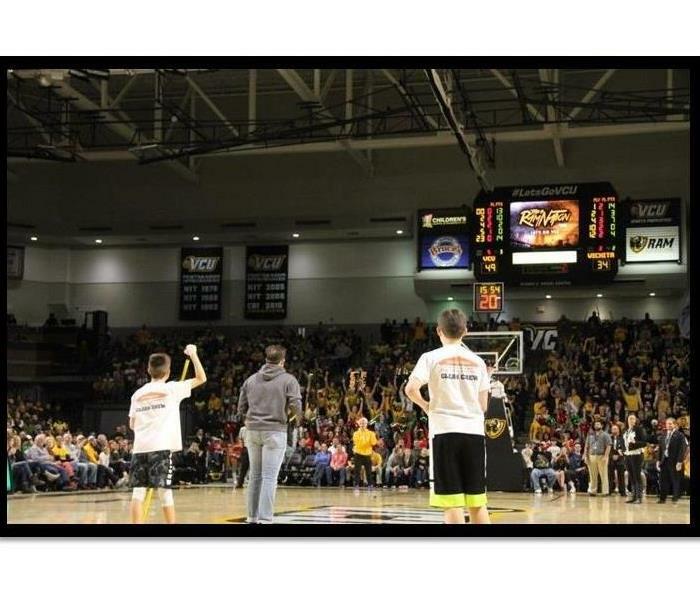 SERVPRO of Chesterfield, Tri-Cities and Newport News proudly supports St. Jude Children's Research Hospital. 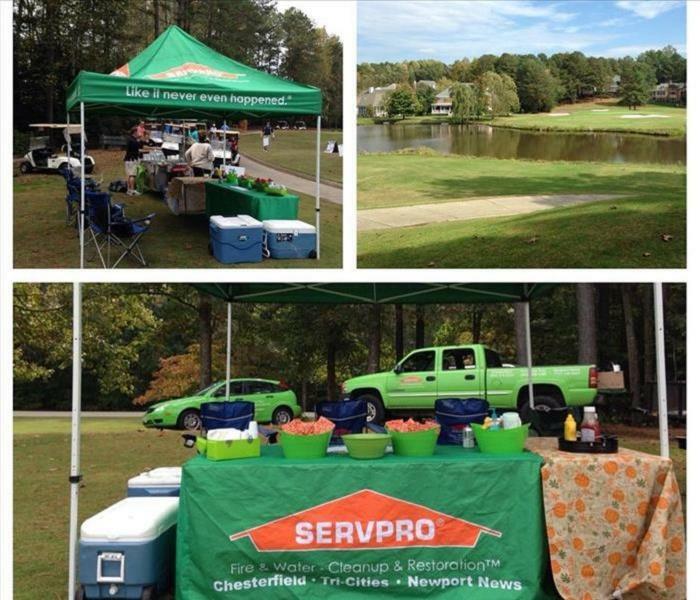 SERVPRO of Chesterfield, Tri-Cities and Newport News had a lovely set up and view at hole 12!